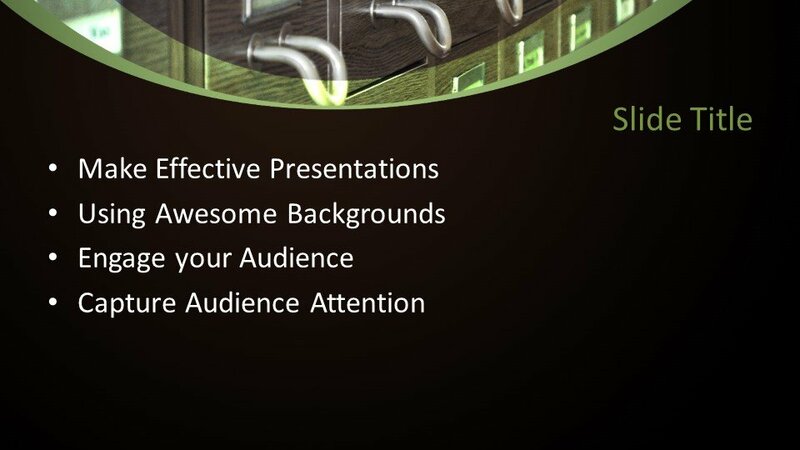 Free File Cabinet PowerPoint Template is a latest and simple design for your presentation decoration. 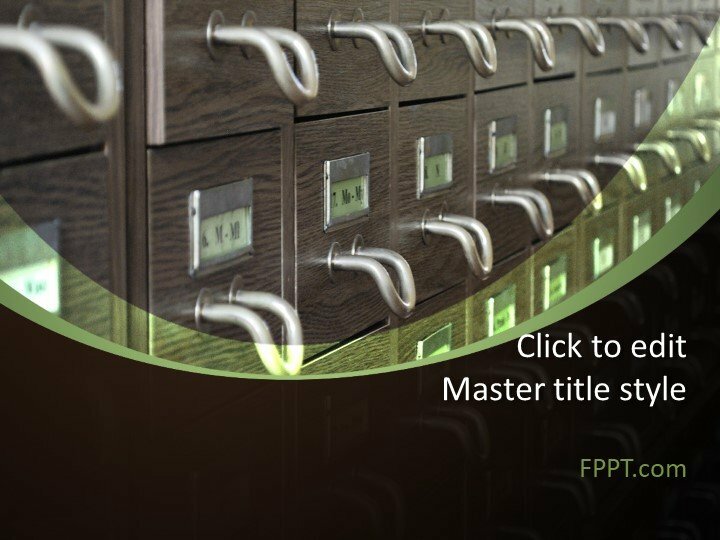 The image of drawers cabinet with a tag to open it is giving a professional look to the design template. 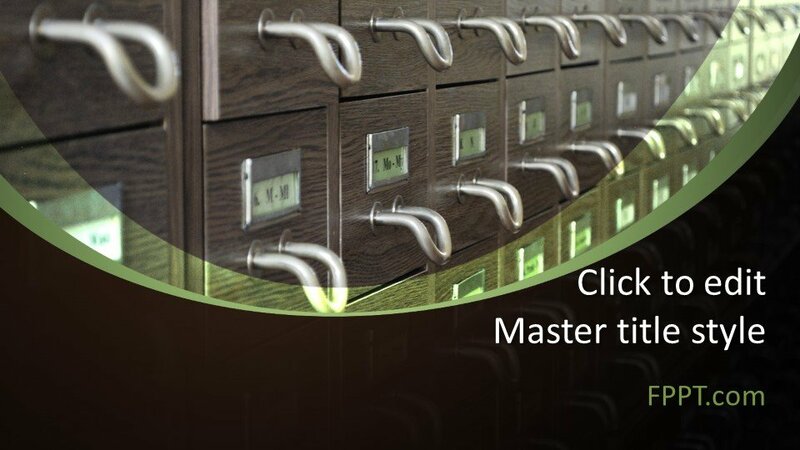 This design will be perfect for the presentations regarding office management and file keeping. 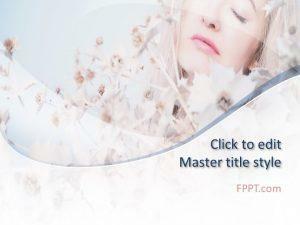 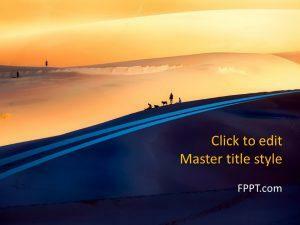 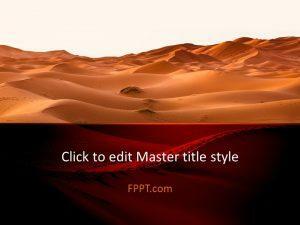 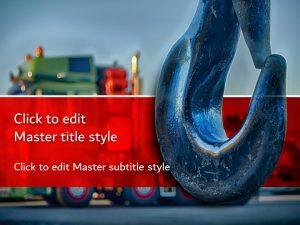 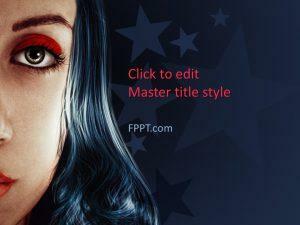 The theme style can be used in the background or in the main slide design and it will give an awesome look to the presentation slides. 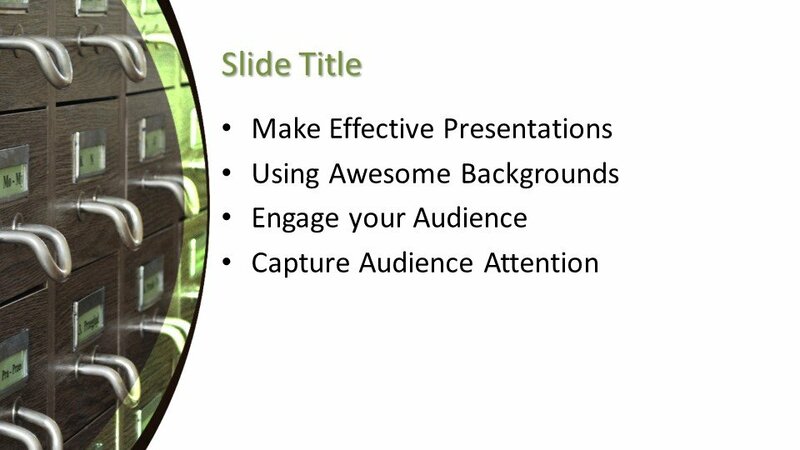 The design template can be customized with a little knowledge of PowerPoint. 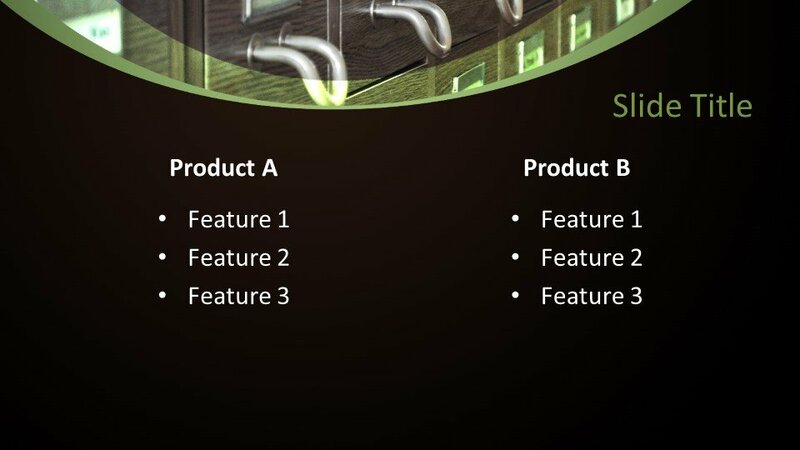 It is crafted in 16:9 ratio three different slide designs are also provided for further development in the presentation. 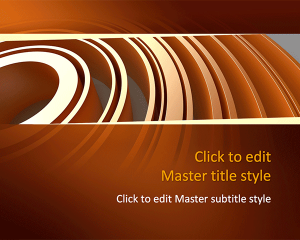 This design is made compatible with almost all versions of Microsoft PowerPoint 2010, 2013, 2016 and Office 365.